“We can’t wait to see what brings you happiness!” says Word Press. I’ve enjoyed more than 50 years of sensual pleasures: tastes, smells, sounds, sights, and tactile delights of all kinds. I live in the wealthiest country in the world, so I’ve had my full share of opportunities to be treated to finely-produced, man-made “treats”. Consequently, they’ve become a bit dull. I find that what really makes me smile are all the unexpectedly lavish surprises of Nature I can discover right in front of me, for free, every day. The best treats in life are free….born in freedom. 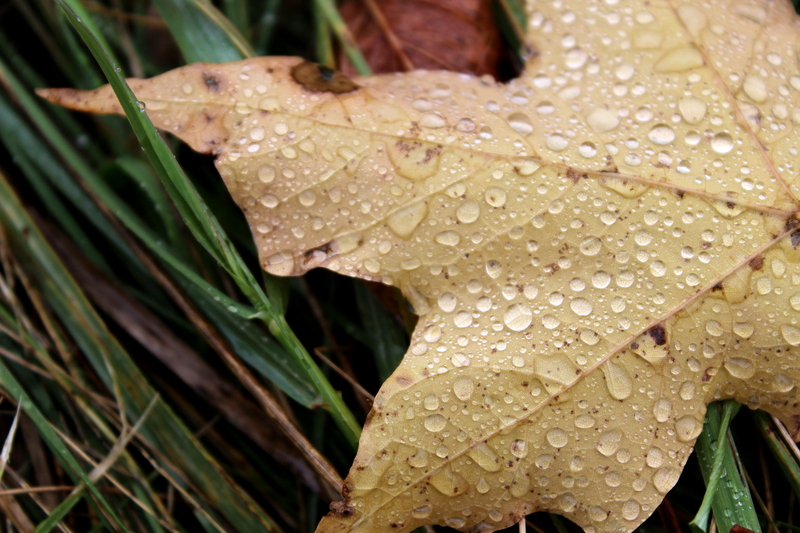 Like Maple Drops. It’s a world of Pure Imagination! If you want to view Paradise, simply look around and view it. (go ahead, click the link to see Gene Wilder in that scene from Willy Wonka that set me dreaming of chocolate for months as a kid!) Enjoy your treats this weekend. This entry was posted in Awareness, Nature, Photography and tagged nature, nature photography, photography, postaday, pure imagination, treats, WordPress Weekly Photo Challenge. Bookmark the permalink. You appear to have been walking in the same park as I, Scilla. 🙂 I love these treats as well and indulge in them as often as possible. Negative calories and so tasty!! 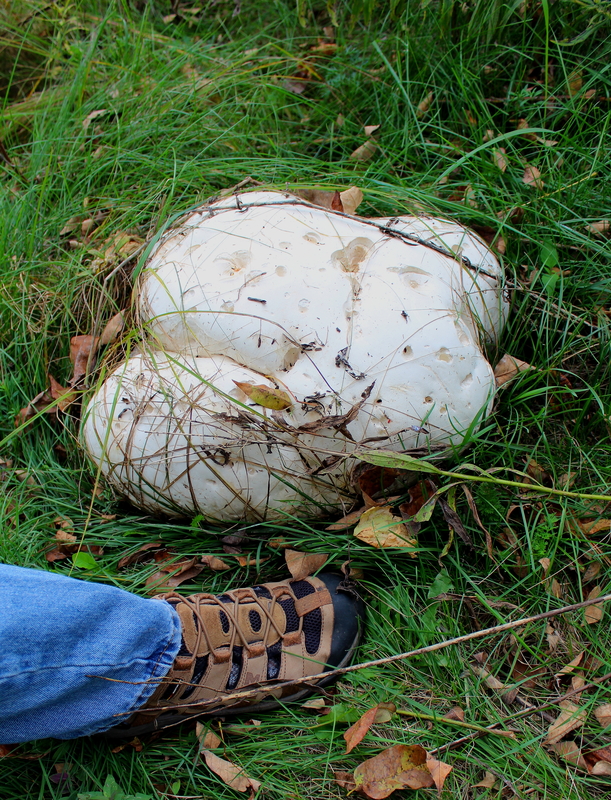 Genuine puffball mushroom, bigger than your head! A natural surprise. Thanks for your visit. I agree whole heartedly. Nature nutures my soul. Hi, Donna! You are blessed to have a hickory grove practically in your backyard. It was one of my favorite places for soul-nurturing. Thanks for stopping in at my blog! Thanks, Graham. 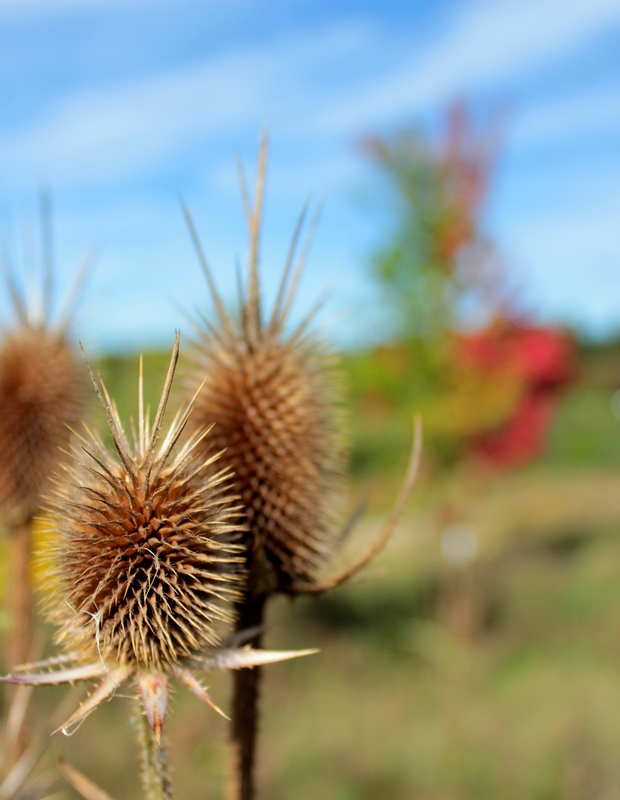 Some people would call it an “invasive species”, but I still think teasels are fun. Yesterday I had a little girl treat. I went shopping with a friend and we happened to see adult coloring books. I felt all the excitement that I did when I was a kid. Got the books (at CostCo) but they didn’t have crayons. I just about quiver when I see a new box of crayons, so I went to Walmart, got one and colored last night. So fun. Something about a brand new box of 64 colors still gives me a thrill, too! Really beautiful photos to help us appreciate going out of our houses and away from our screens! And treating ourselves! Yes! It’s all out there to enjoy! I agree with you, there are so many treats out there if you just open your eyes. It’s a fascinating world we live in, for sure.